Smarticipate is a research project revolved around the development of the smarticipate platform, a web-connected solution that allows citizens to interact in a new way with their local government. Based upon the idea that smartphones and web applications are widely used in our daily life, this project aims at opening up the process of creating new applications. 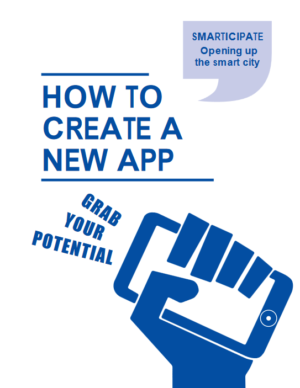 So, this guide is a step-by-step manual explaining how the smarticipate platform can support the creation of new apps aiming to make cities more liveable, greener and smarter. 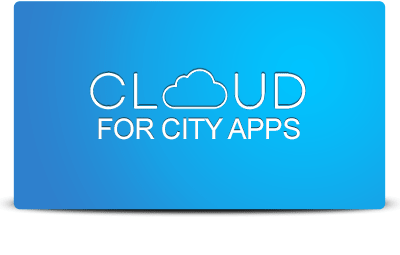 According to the Smarticipate approach, an urban app consists of 3 elements; features, data and rules. By analysing a problem and its possible solution, what is called the urban story in this guide, the elements of an application can be specified. A feature is a tool in the app that enables users to act. They facilitate online communication between different stakeholders and make it possible to reach out to a wider audience. The smarticipate platform provides you with a set of built-in features which you can activate for your app. For example, as show in the following figure, some features are sharing, liking and commenting on proposals via social media. The city of Hamburg has huge amounts of open data accessible to citizens and entrepreneurs via our Transparency Portal. A great first step! However, our ambition is that more people use the data and transform it into usable applications which support the decision-making. Available features in the smarticipate platform. Source: current guide. Plant a Tree App: This prototype allows citizen to make their own proposals for planting new trees and provides automatic feedback on its suitability. It will be able to provide additional information, like estimated CO2 reduction and cost calculation. users to check if a parcel is available for urban gardening and if there is a water source in close proximity. 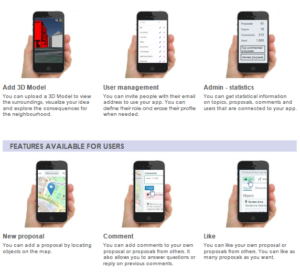 3D Planning App: This prototype allows citizens citizens to view a proposal for a new building in 2D / 3D. So they can better understand the impact it will have from different views and the shadow it will cast. Residents can comment on the proposed ideas and share what they have seen via social media. Visit the project’s website here. Visit the smarticipate platform here.